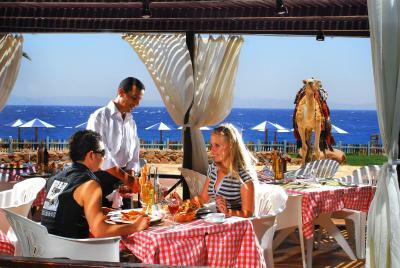 The hotel is a true oasis that is perfectly nested between the mountains and the sea. 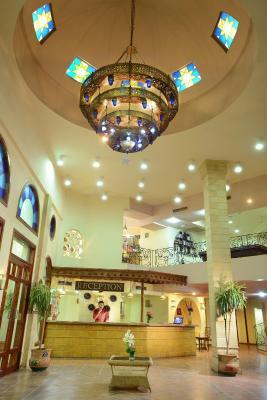 I like the location which is far from downtown, yet reachable by the free hotel shuttle bus or a local pickup for 50 EGP. 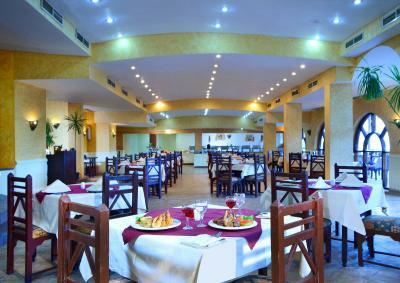 The hotel is obviously taken care of; in terms of cleanliness, gardening, maintenance and responsiveness to guests. 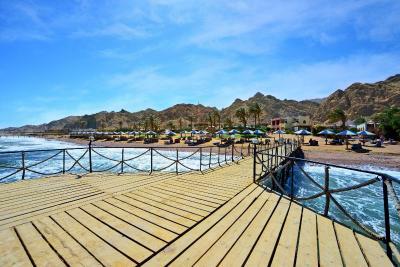 The beach is amazing with its walkpath that you can use to get directly into water for a swim, dive or snorkling with amazing reefs and aquamarine beauty. 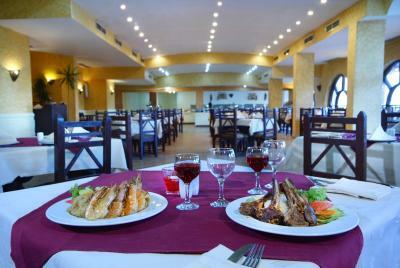 The food was good, and the staff at the restaurant were even better. kind stuff with beautiful smile. food was almost good. location was so clean. great view for all rooms. I like the free shuttle , Food tastes very good but not many varieties. 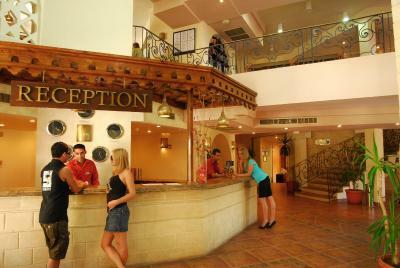 the hotel is highly recommended to visit , the room is clean and the beach is very close. the food is nice. the sea view from the room is very beauty . 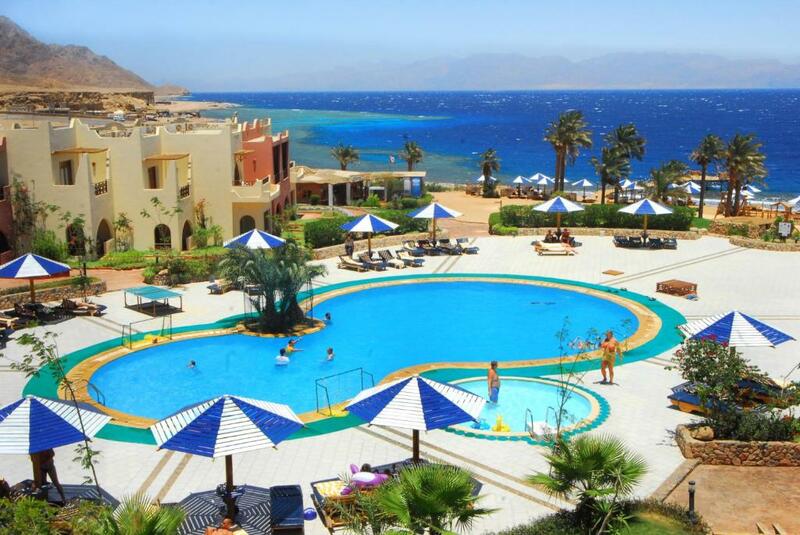 Tropitel Dahab Oasis This rating is a reflection of how the property compares to the industry standard when it comes to price, facilities and services available. It's based on a self-evaluation by the property. Use this rating to help choose your stay! 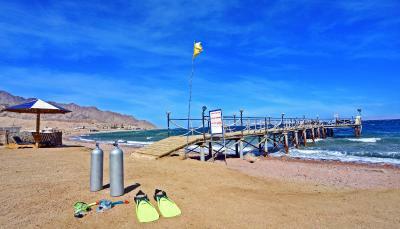 One of our top picks in Dahab.The 3 star Tropitel Dahab Oasis is located on the coast of Aqaba Gulf. 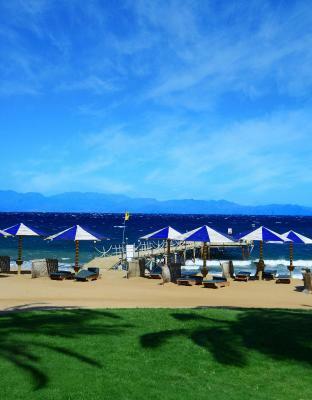 The hotel has its own private beach, an outdoor swimming pool heated during winter and a diving center overlooking the Blue Hole diving spot. 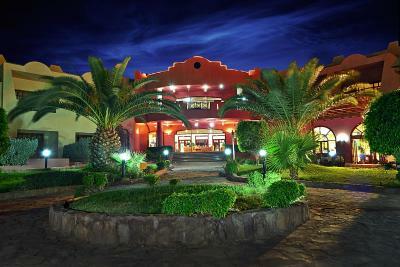 The hotel also offers a health club, sauna, steam room and massage. There is shopping arcade and currency exchange at the hotel. 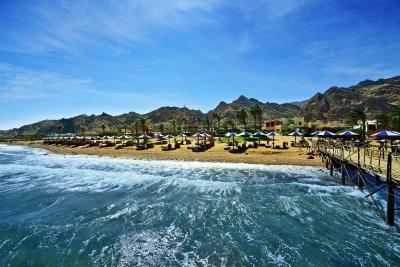 The hotel is just 5 mi from Dahab city center and a 70-minute drive from Sharm El-Sheikh International Airport. 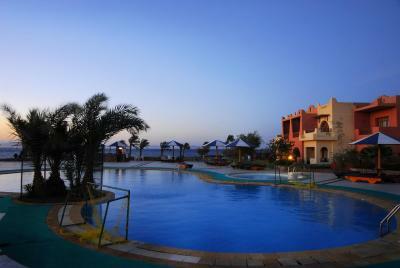 When would you like to stay at Tropitel Dahab Oasis? 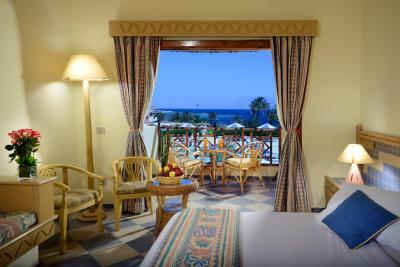 Featuring views of the Red Sea, this modern air-conditioned room comes with a flat-screen satellite TV, a closet and a mini-bar. The bathroom is fitted with a shower and offers free toiletries along with a hairdryer. 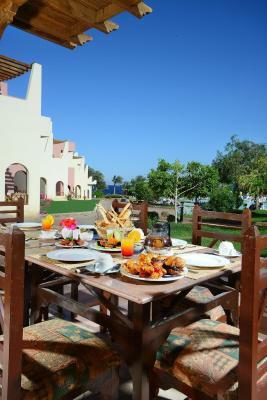 Modern room offering views of the Red Sea and including a flat-screen satellite TV, a closet and a mini-bar. The bathroom is fitted with a shower and offers free toiletries along with a hairdryer. Featuring a garden or mountain view, this standard double room includes a satellite TV, a mini-bar and a closet. 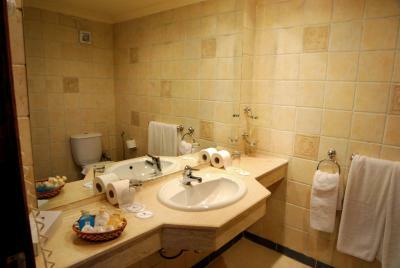 The bathroom is fitted with a shower and offers free toiletries along with a hairdryer. 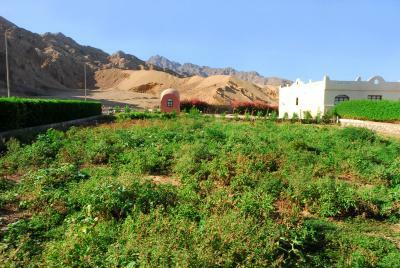 Featuring a garden or mountain view, this standard triple room includes a satellite TV, a mini-bar and a closet. The bathroom is fitted with a shower and offers free toiletries along with a hairdryer. Featuring a partial sea view, this standard double room includes a satellite TV, a balcony, a mini-bar and a closet. The bathroom is fitted with a shower and offers free toiletries along with a hairdryer. 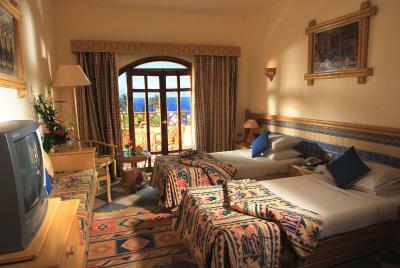 Featuring a partial sea view, this standard triple room includes a satellite TV, a balcony, a mini-bar and a closet. The bathroom is fitted with a shower and offers free toiletries along with a hairdryer. 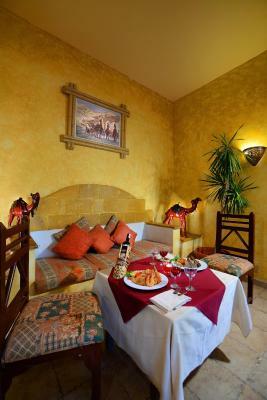 This twin/double room has a tile/marble floor, mini-bar and air conditioning. 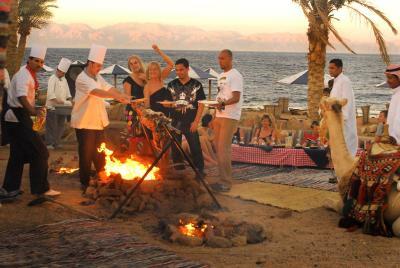 House Rules Tropitel Dahab Oasis takes special requests – add in the next step! One additional child from 6 to 12 years is charged 25 % of the room stay per night in an extra bed. Tropitel Dahab Oasis accepts these cards and reserves the right to temporarily hold an amount prior to arrival. 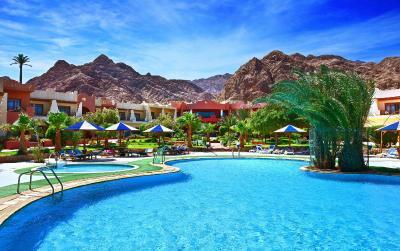 Please note that all inclusive rate includes only soft drinks for all Egyptians, Foreign Residents and Middle Eastern customers. 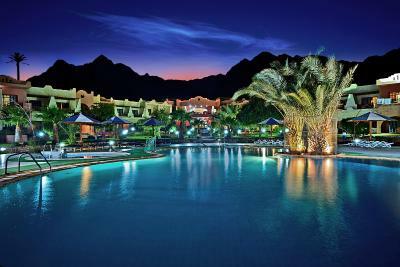 Please note that transportation from and to Sharm El Sheikh International Airport in a limousine for 3 people can be provided by the hotel at an additional cost. 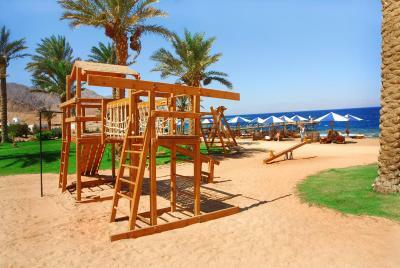 Please note that Children above 12 years old will be charged as an Adult at the hotel and any extra cost is not included in the confirmed room rate. Nothing of a big deal to complain about. The staff is not professional, not cooperative at all. One of the staff named Medhat is extremely not professional and is treating customers with no welcoming or respect. The food is not good and the restaurant is not clean. Worst hotel I have ever stayed in. Will not visit again. The pool is as open and ok.
Beach, Pool, View, Stuff, Food was very tasty. Staff is very friendly and helpful. location is beautiful and food is very good. special Thanks to: Reception Team (Mr. Mahmoud, Mr. Ahmed and Mr. Medhat) House Keeping Team (Mr. Ahmed, Mr. Gamal and Mr. Mohamed) restaurant Team (Mr.'s : Yasser ,El Hussien, Ahmed Taha, Ahmed, Mohamed ,Mostafa, Mohamed, Saber) Managers (Mr. Mostafa :) :) ,Mr. Hatem, Mr. Mohamed) and all chiefs team. Recreation Team (Mr. Noor, Mr. Fathi , Mr. Gouda). Hotel Doctor. and thanks indeed for their efforts to make the trip wonderful. 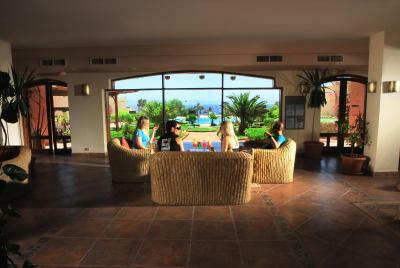 Food, staff, beach, clean room, pool with heater; everything was spectacular!